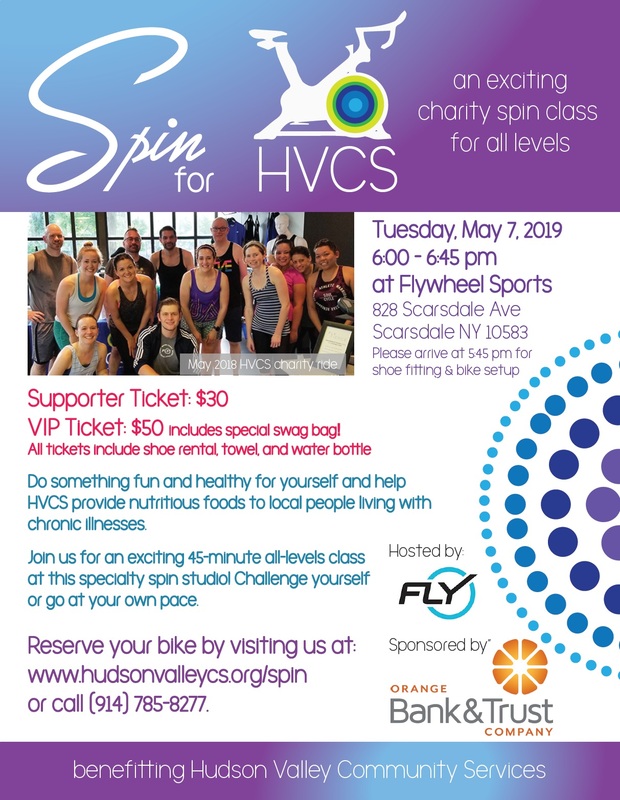 You’re invited to our charity cycling/spin class! Do something healthy for yourself while helping to provide nutritious food for people living with chronic illnesses. It doesn’t matter if you’re an experienced cyclist, a spinning fanatic, or you’ve never taken a spin class before…this is a great way to try it out! This event is generously sponsored by Orange Bank & Trust. HVCS – Public Relations Dept.